Mr. Smith was appointed the Inaugural Patron of Disability Sports Australia in July 2018. Chairman of the Advisory Board of Australian Capital Equity Limited, holders of interests in Seven Group Holdings Limited and Coates Hire Limited, on which Boards he is also a Director; Chairman of the Flagship Property Group; Director of Estia Health Limited. Chairman of ANZ Thailand and Director, ANZ China, Australia and New Zealand Banking Group Limited. He is Chairman Emeritus of the Asia Society in Australia and Global Trustee, Asia Society. Formerly, Senior Managing Director and Chairman, New South Wales & Australian Capital Territory, ANZ; National President of the Australia China Business Council; Chairman of E*TRADE Limited and an Executive Director with Macquarie Bank. He was a Federal Government Minister with a parliamentary career spanning 15 years; including as Minister for Family Services with responsibility for Disabilities; Minister of Sport, Territories and Local Government and a former Chairman of the Australian Sports Commission. Mr. Smith has completed reviews into both Football and Swimming in Australia, commissioned by the Federal Government post the London Olympic Games. He was Australia's first Telecommunications Ombudsman and has received a Centenary Medal and an Order of Australia. Emily is the first addition to DSA’s ambassador portfolio. Emily was born with Cerebral Palsy and has since become one of Australia’s most recognisable advocates for people with a disability, despite her tender age of 11 years. The engagement of Emily is a ground-breaking step forward for our organisation, with her infectious will to participate in sport and high-profile sure to increase awareness and promote adaptive sport and active leisure opportunities available to Australian’s living with physical disability. Already one of the most recognisable faces of Target Kids recent advertising campaign, Emily is changing the way people in Australia view, perceive and react to people with a disability. We are delighted to welcome Emily to the DSA family! John has worked in the media industry for more than 30 years and was appointed Chief Executive Officer of Isentia in 1999. He has led the company through private ownership, private equity with Quadrant Private Equity and finally an Initial Public Offering on the Australian Stock Exchange in 2014. John is a Life Fellow of the International Association for the Measurement and Evaluation of Communications (AMEC), a Life Fellow of the Public Relations Institute of Australia and a member of the Australian Institute of Company Directors. John was previously the Vice President of the Australian Paralympic Committee. Steve currently works as the Chief Operating Officer of an I.T. company and continues to provide management and sport-related consultancy through his own business. He has worked in sport for over 20 years in Australia and overseas and is retained as a lecturer / facilitator by the World Academy of Sport. Steve is a former Visiting Fellow, University of Manchester (U.K.), Manchester Business School (Faculty of Humanities) where he has presented to staff from international sporting federations on sponsorship, brand management, elite athlete and coach pathways, international federation integration, new media in sport and a wide variety of other topics. Steve is a Graduate of the Australian Institute of Company Directors and holds a Bachelor of Business (Business Management). In addition, he is a Fellow of the Institute of Sports Management and was a recipient of the Australian Sports Medal in 2000 for athletic achievement and sports administration. He has also served on the Boards of the Australian Paralympic Committee, Skiing Australia and Rowing Australia. Leeanne has over 20-years' experience as a CEO and senior executive in the sport and major event industries. She operates her own consultancy business with a focus on global sport industry recruitment. Leeanne has been the Chief Executive Officer of: Women's National Basketball League; 2002 World Masters Games in Melbourne; Australian Major Events (Events S.A.); Adelaide 36ers (NBL) and Community Football (SA). Leeanne was also Head of Women's Football for Football Federation Australia. Leeanne led successful bids for significant major events in South Australia including: Rugby 7's; Australian Masters Games; World Cycling and BMX events; international football (soccer) events for men and women. Leeanne is a currently a Director of Cycling Australia, Commonwealth Games Australia and Netball S.A.
Steve is a Partner at Bird & Bird. Bird & Bird is an international law firm with offices in 29 countries. Steve advises clients on cross-border M&A and joint ventures. He has worked in the US and extensively throughout Asia. He advises clients across a number of industries but has a particular focus on the technology, media and entertainment sectors. He holds degrees in Law and Science from the University of Sydney and was admitted as a Solicitor of the Supreme Court of NSW in 2000. Michael has over 25 years’ experience in the commercial property industry having worked for organisations such as Coles Myer, Growth Equities Mutual, Lend Lease and DEXUS Property Group. Michael is currently General Manager – Developments at Vinta Property Group. Michael has held positions on various property committees at both State and National level and has previously held senior roles in Corporate Responsibility, has been a member of the City of Sydney Better Buildings Partnership Leadership Panel and continues to lead corporate stakeholder and community engagement. Michael has completed various management courses with the Australian Graduate School of Management. Liz Rushbrook is a registered Medical Practitioner with a speciality in Medical Administration. Her medical interests include sports medicine, clinical governance and disaster and operational management. With 25 years of experience in the Navy and Australian Defence Force, she reached the rank of Commodore and has provided services in the areas of Navy Operations, Sports Medicine and Disaster Management. Liz recently transitioned from Defence and currently works within Queensland Health providing medical leadership at Metro North Hospital and Health Service and the Prince Charles Hospital. Liz is a Fellow of the Royal Australasian College of Medical Administrators. She also supports the Royal Australian Navy through board membership of the Fleet Command Board and is a Director of Team Rubicon Australia. Her passions include Medicine, Sport and Governance. Kevin is a chartered accountant with extensive experience in strategic finance and business development as well as being responsible for financial and investment management topics across the real estate industry. Before being the Chief Financial Officer for DNW Group, Kevin worked with the publicly-listed DEXUS Property Group in a range of executive roles. He is also a former Senior Financial Reporting Manager with Stockland and a Director of Deloitte. He is a member of the South African Institute of Chartered Accountants. He is a member of the Property Council of Australia CFO roundtable as well as the Australian Institute of Company Directors. Personally he is a member of the Audit and Risk Committee for Disability Sports Australia. Jenni originally trained as a physiotherapist working in various roles spinal cord injuries, orthopaedics and rehabilitation, most recently as senior clinician physiotherapist (musculoskeletal) at the Royal Talbot Rehabilitation Centre. Jenni was the Medical Coordinator for the Sydney 2000 Paralympic Games and a lecturer in the School of Physiotherapy at LaTrobe University.  Notably, Jenni lead the development and implementation of the National Classification Strategy during her role as the Classification Manager for the Australian Paralympic Committee. This program is still regarded as one of the world’s best. Chris’ professional career began at a leading Sydney Event Management Company, seeing him manage some of Australia’s most iconic events by the end of his three-year tenure as a Project Manager. Chris has been operating as the Marketing Executive for Realise Business and has also owned and operated his own small business, which has seen him implement leading rugby coaching programs in Western Sydney and Regional NSW areas and create one of NSW’s largest Rugby Sevens Tournament’s in the Blue Mountains. Sport is in his DNA. In his spare time you can find Chris running around the rugby field in the Shute Shield for his beloved Southern Districts. He loves the industry and the opportunities that sport provides an individual at any level. He is looking forward to being a part of the solution to help DSA grow further programs and initiatives. He is excited to be a part of a movement which heightens opportunities for individuals in this area.